Our group consists of eight Italophiles who enjoy meeting to discuss all aspects of Italian life: current affairs, art, fashion, politics etc. We scan the papers, read articles of interest and bring in prepared presentations about things and places that appeal to us. The Group is not suitable for complete beginners as most of us have been studying the language for some time. 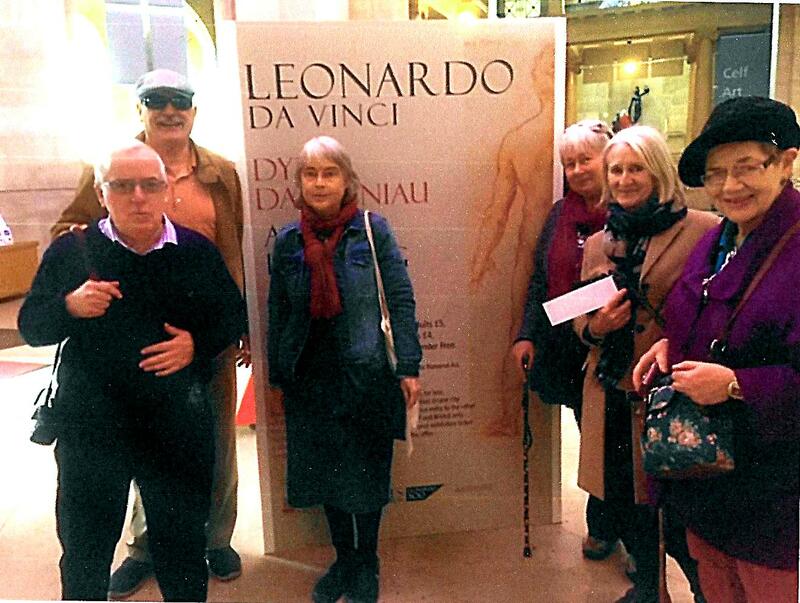 Recently we held a Giro di Crickhowell (Tour of Crick) with historically-themed questions set in Italian. Last year we had a tour of Blaenavon World Heritage Site with Italian commentary. For the autumn, a Treasure Hunt by car is in the planning. Tony and Judith d’Anna generously invited members of the Italian Conversation Group to their home for a lunch of Sicilian delicacies on January 8th. On offer were arancini, pepperoni, caponata, bread and sliced meats. The food was excellent and our hosts promoted a friendly and hospitable atmosphere at the gathering. There were extempore verse readings by Judith, Howard Rootkins and Gwen Williams. The afternoon was a perfect antidote to the post-Christmas blues.